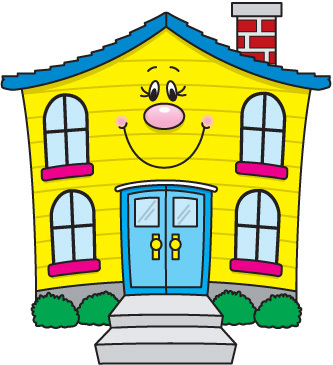 This half term we will be learning more about houses and homes. We have begun setting our own questions to investigate, whilst also exploring ways to find out about homes over the decades, our own homes, how buildings have changed and why?, traditions and much more! Why not visit our 'Houses & Homes' pinboard and post your own questions, comments, photographs or ideas too?! Our first task during this new topic linked to our literacy work, where we have been studying 'The Gruffalo'. We designed and constructed a new home for The Gruffalo using natural or recyclable materials. We built 3D models of our designs in class. Materials were collected from household recyclables such as boxes, pots and straws. We also collected materials from our gardens, or went for a walk in the park. These included twigs, dried leaves that had already fallen, chestnuts, conkers, chippings etc. We had a great deal of fun during this activity and developed many of our creative skills and talents even further! Did you see our tweets updating you on our progress? Yes? Fantastic! If not, take a look by clicking here! This half term we are busy researching the questions we set at the beginning of our topic. We have linked our learning to our work across the curriculum, but a highlight was definitely making our Gruffalo houses! 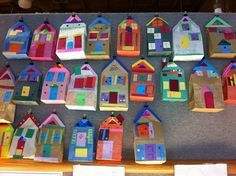 For your homework project this half term, you are asked to design and make a model of your own home, again using recyclable materials. Remember to annotate your sketches and write a short evaluation: What you did, who worked with you, how you decided on your materials etc, in your learning log. How long have you/ your parents lived there? How many storeys does your house have? Which is the biggest room? Which is the smallest room? How long would it take to walk to school from your house? You may add additional information if you would like to. This can be written in your learning log or on separate sheets as before. Be as creative as you like! Please bring in your homework on Tuesday 13th December, as we will be presenting in class the following day. I would ask that you do not return your homework earlier than this date as space is limited and we have so many exciting things taking place we are struggling for space! Click here to access our agreed homework policy. Thank you to those children who have already completed their fact files and are now busy recycling cereal boxes and yoghurt pots to create models of their homes! Please visit out 'Parent Information Page' for up to date information. Click here to view our work online as we progress throughout the topic.